Tyler TX Children's Dentist | Say Cheese! It has long been known that dairy products contain high amounts of calcium, which is important for developing and maintaining strong teeth and bones. However, not all dairy works in the same ways. Did you know that a recent study has found that cheese can actually help protect teeth against cavities? How does cheese prevent cavities? Eating cheese helps stimulate the production of saliva in your child’s mouth, which washes away sugars, acids, and bacteria on their teeth. 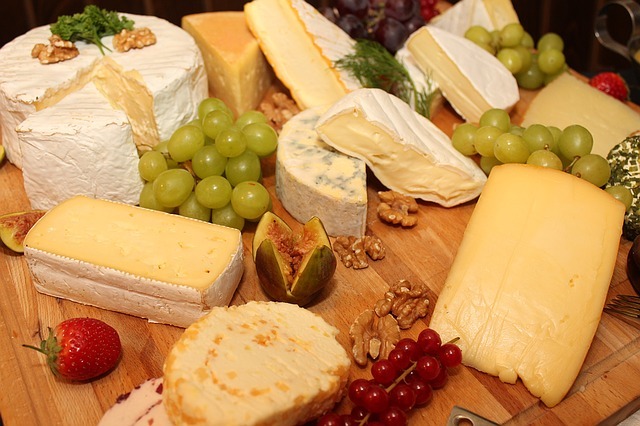 Additionally, cheese is a great source of both calcium and phosphorous, which can help strengthen tooth enamel. What’s more, the scientists who performed the study found that some of the other compounds found in cheese seem to adhere to tooth enamel, further protecting the teeth from acids in the mouth. Are all cheeses the same? No, some cheeses are healthier for your family than others. To get the greatest benefit from your child’s cheese intake, stick with real cheese varieties, rather than processed cheeses. American cheese, cheese dips, and pre-packaged cheese products, such as those found in jars or spray cans, have added sugars to enhance their flavor. These sugars can be harmful to teeth, rather than protecting them. In addition, these types of cheese products contain a significantly reduced amount of actual cheese content. These processed cheeses can even wear down tooth enamel, increasing risk of decay. What kinds of cheese should I give my child? There are hundreds of types of real cheese available, which are packed with calcium and great for tooth protection. If your child enjoys aged cheeses, Cheddar, Swiss, Monterey jack are all tasty options. If he or she prefers softer cheeses, Mozzarella, Brie, or Camembert may be a great way to make your child smile. Gorgonzola, Roquefort, and other similar cheeses have much to offer for a child with a more expansive palate. What if we’re on a low-fat diet? Good news! The fat content of your cheese choices do not affect its ability to protect your child’s teeth. The low-fat or non-fat versions of your child’s favorite varieties of cheese contain just as much calcium, phosphorous, and other tooth-protecting compounds as the full-fat varieties. With so many great options to choose from, consider offering your child cheese instead of sugary or starchy options for a snack or end of meal treat. Cheese tastes great and is healthy for your child and their teeth. For more ideas for healthy snacking, contact our pediatric dental office. This entry was posted in Pediatric Dentist and tagged 75701 Dentist, Dentist near 75701, Pediatric Dentist in 75701, Pediatric Dentist in Tyler, Pediatric Dentist in Tyler TX, Pediatric Dentist Tyler, Pediatric Dentist Tyler TX, Tyler Dentist, Tyler Pediatric Dentist, Tyler TX Dentist, Tyler TX Pediatric Dentist. Bookmark the permalink.